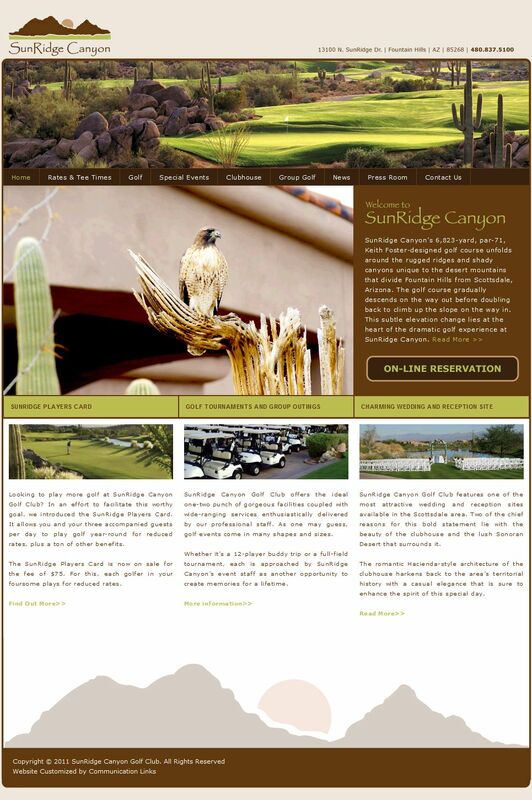 The digital team at CommLinks launched our newest client website for the SunRidge Canyon Golf Club at http://sunridgecanyongolf.com/. The site endeavors to tell the tale of SunRidge Canyon and all that makes it unique. For one thing, the place is home to a wide variety of wildlife, so we added a number of wildlife images taken by General Manager, Jeff Lessig, as he wandered the property.